Setting up your own company can be quite a handful, with lots to organise and plenty of decisions that need to be made before you introduce yourself to your future customers. It would take either a particularly organised or totally bonkers mind to try and do that at the same time as arranging something as involved as a wedding, right? Particularly one packed with as many carefully crafted personal details as this. Fortunately Sama Hemsley is in the former camp (I think). 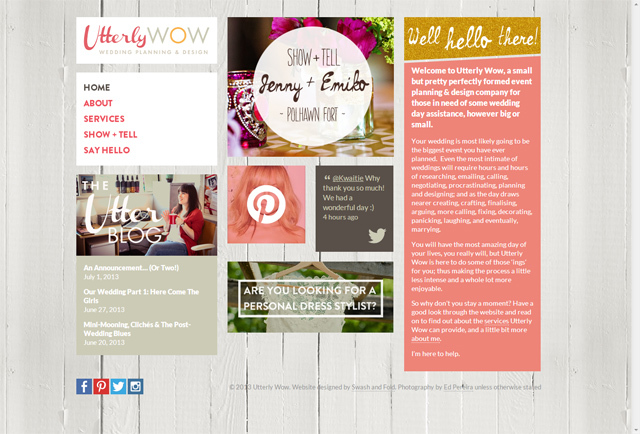 Doubly fortunately the business she was working on was Utterly Wow, a boutique wedding planning & design company, so amazing organisational skills are sort of essential! Sama had already found a voice for her brand with her popular blog, so had a clear idea of her audience and how she wanted the business to look and feel. After a few Pinterest sessions and some design reviews we came up with a clean, modern logo and a fresh, peachy colour palette. 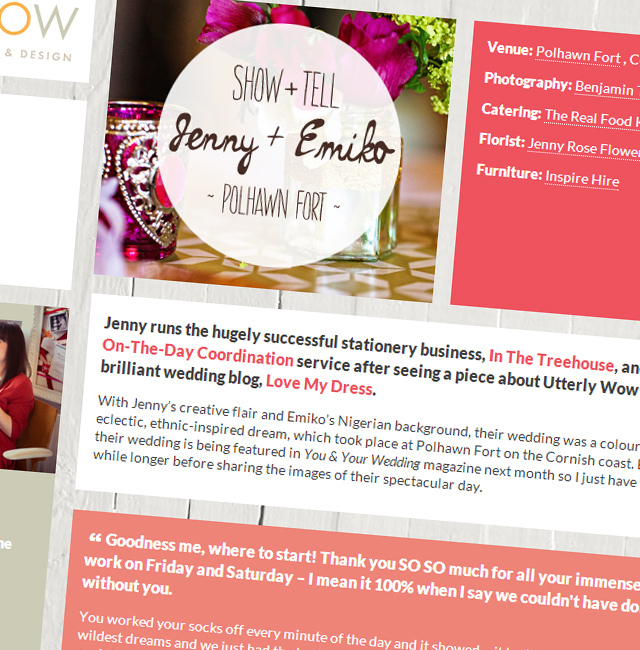 Following a brief interlude while wedding plans stepped up a notch, we got to work on the website. 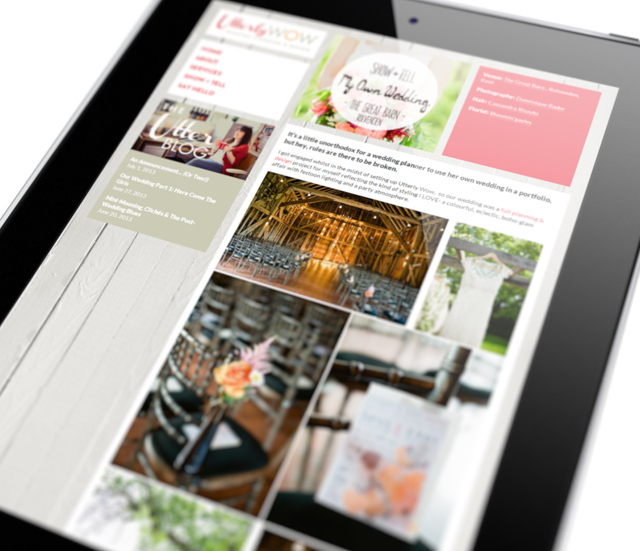 The website itself is a bespoke WordPress theme, with custom post types for Sama’s featured couples and lots of feed-packed widgets and slideshows to keep the homepage interesting and fresh. Webfonts are used in key areas to give a bit of typographic interest, while the summery tones are complemented by the whitewashed wooden page background, preventing the palette from overwhelming the colourful photos to be found in the Show + Tell section. Take a look at some details from the project below, or swing by the Utterly Wow website yourself to see things first hand!